A 1966 Ferrari 275 GTB Long Nose coupe sold for $2,205,000 as the top result at the RM Sotheby’s Amelia Island 2018 classic car auction. Seven cars sold for over a million dollar. The top result at the RM Sotheby’s Amelia Island 2018 classic car sale in Florida was $2,205,000 for a 1966 Ferrari 275 GTB Long Nose Berlinetta. 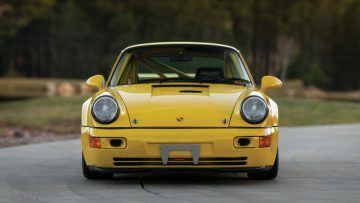 Two yellow Porsche 964 models – a 911 Carrera RS 3.8 and a 911 Carrera RSR 3.8 – sold for over a million dollar, as did two Mercedes Benz 300 SL cars. 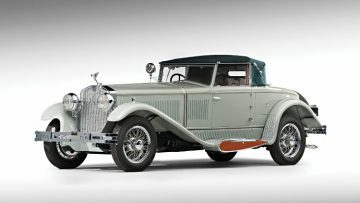 Two pre-war cars achieved million-dollar results: an imposing 1930 Isotta Fraschini 8A S Boattail Cabriolet and a 1931 Marmon Sixteen Coupe by LeBaron. RM Sotheby’s 20th annual Amelia Island classic car sale was held on 9 March 2018 at the Ritz-Carlton, Amelia Island, Florida, USA, a day earlier than planned due to expected inclement weather. RM Sotheby’s is the official auction house of the Amelia Island Concours d’Elegance and offered 102 cars plus a small selection of memorabilia and related lots. In 2018, RM Sotheby’s grossed $27 million with a sell-through rate of 85% with 87 of 102 lots offered sold. With only one car on offer with a presale estimate exceeding two million dollar repeating results of previous years were never expected. Note: Prices include premium. Some deals might have been post-hammer but were included in first results announced the day after the auction. Unsuccessful highest bids as reported by Hagerty. 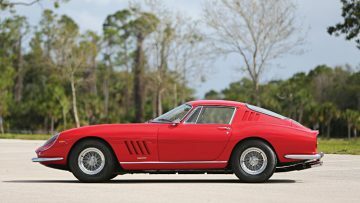 The top result at the RM Sotheby’s Amelia Island 2018 classic car auction was $2,205,000 paid for a 1966 Ferrari 275 GTB Long Nose coupe. This was the third highest result during the Amelia Island 2018 classic car auction series. In contrast to the garage-find 1966 Ferrari 275 GTB Long Nose Alloy, the Berlinetta sold at RM Sotheby’s was for a steel-bodied car, which was actually made in fewer numbers than the Scaglietti alloy coachwork cars but of course less desirable too. While the buyer of the dust-covered car at Gooding will have to spent considerably to bring the car back to the road, this red 275 GTB long-nose, torque-tube example is in a good condition. It has its original engine, chassis and gearbox and was presented in its original color scheme of red over black. The top Porsche result at the RM Sotheby’s Amelia Island 2018 sale was an above estimate $1,655,000 for a yellow 1993 Porsche 911 Carrera RS 3.8. This car in pristine condition has covered only 6,825 km from new. It was originally sold to Japan but has been imported into the USA on a “show and display” license. It was the penultimate car of only 55 built. 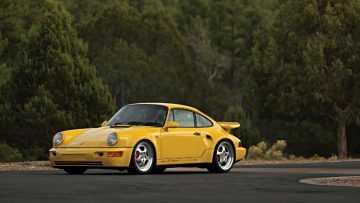 The similarly yellow 1993 Porsche 911 Carrera RSR 3.8 sold for $1,270,000. It is also one of only 55 made and was also originally sold in Japan. The car is in the USA on a DOT / EPA “Box 8 Race Car” exemption and has covered only 765 km since new. It has been driven only around 30 miles per year to keep mechanical components in working condition. 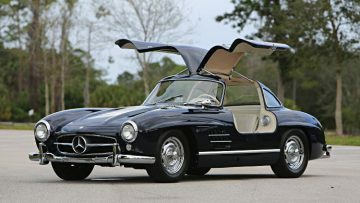 Mercedes Benz 300 SL cars are again popular at classic car auctions with sellers seemingly now willing to accept that prices have risen too fast and that results just above a million dollar are more likely than at $1.5 million or more. Two Mercedes Benz 300 SLs were offered at RM Sotheby’s Amelia Island 2018 by the same owner. Both cars were recently restored by Kienle for a keen driver, who for example preferred the comfort of air conditioning in a Gullwing rather than being 100% authentic. The early production 1957 Mercedes Benz 300 SL Roadster sold for $1,094,000 while the 1956 Mercedes Benz 300 SL Gullwing achieved $1,077,500. Both good buys for owners keen to drive rather than display these cars. The imposing 1930 Isotta Fraschini 8A S Boattail Cabriolet by Castagne sold for $1,270,000 as the third highest result at the RM Sotheby’s Amelia Island 2018 sale. This car is one of only three surviving Isotta Frascinis with boat tail cabriolet bodywork by Castagna. It has a known history from new and was mostly owned by a few long-term, enthusiastic collectors including Sergio Franchi. 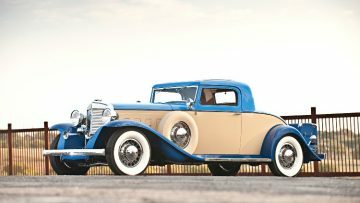 A 1931 Marmon Sixteen Coupe by LeBaron sold for $1,050,000 – well above the presale estimate of $700,000 to $900,000. 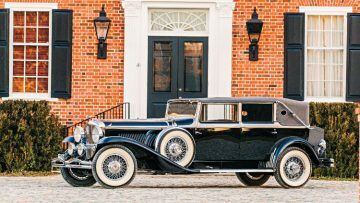 It is only the fourth Marmon to have sold for over a million dollar. This Marmon was restored by marque expert Harry Sherry. It is in the rarest factory Marmon style and retained its original body, engine and chassis. These cars new cost only a third of the price of a Duesenberg Model J. The 1930 Duesenberg Model J Imperial Cabriolet with bodywork by Hibbard and Darrin, engine J-254, just missed the million-dollar mark when it sold for $995,000. This car originally belonged to William Randolph Hearst and Marion Davies and accompanied them on many journeys around the world. 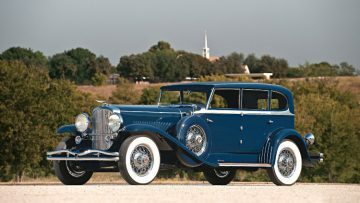 It has not been shown for a decade making the Duesenberg eligible for many of the top concourse events. 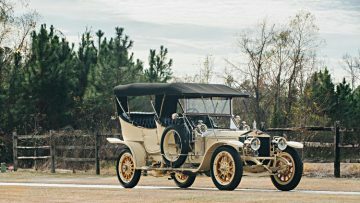 The 1909 Rolls Royce Silver Ghost Roi des Belges “The Silver Fairy” in the style of Barker must have come close to the reserve and the seller may come to regret not taking the money. These magnificent vintage Rolls Royce cars are not that easy to sell. 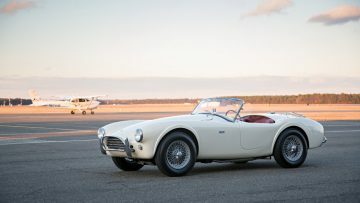 The 1963 Shelby 289 Cobra of Prozac inventor Dr Bryan Molloy spend decades in a barn but despite being restored and with only 21,000 miles on the clock failed to reach the million dollar mark. Gooding sold three Cobras for over a million dollar earlier on the same day. The yellow 1993 Porsche 911 Turbo S Leichtbau is one of only 86 examples built. High mileage – 36,142 km since new – rather than the DOT / EPA “Show and Display” license seemed to have hold it back. A similar car – although in dark blue rather than bright yellow – at Gooding with only 100 km on the clock sold for a whopping $1,760,000. The 1929 Duesenberg Model J ‘Clear-Vision’ Sedan by Murphy, engine J-187, is one of only five survivors in this attractive close-bodied style. RM Sotheby’s next two classic car auctions are Fort Lauderdale in April and Auburn Spring, Indiana, in May. However, the next million-dollar results are expected at the biennial Monaco sale in May. See also: Amelia Island 2018 Auction Results Overview and Gooding Results.